Herb magic is both powerful and versatile. 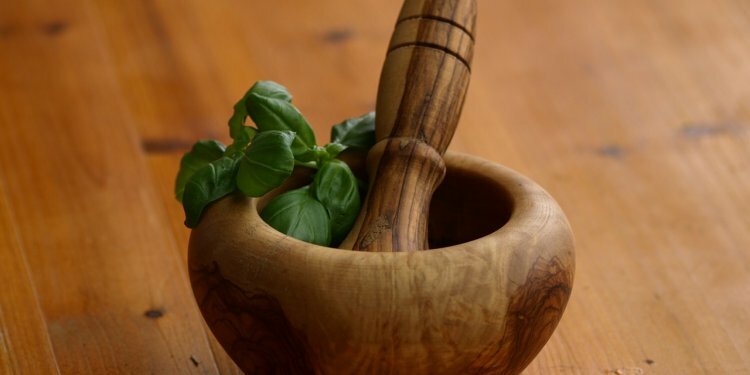 From carrying an herb in your pocket, to cooking with herbs, to burning herbs in a ritual, there are a wide variety of ways to use herb magick. Like most things in nature, herbs each have their own correspondences. Every herb is energetically connected to certain intentions and moods. If you know these correspondences, you can harness the power of herbs to aid in your magickal work. There are plenty of sites and books out there that you can learn correspondences from. Of course, I recommend The Herbal Magic Correspondences Guide that we have available here on the site, but there are other guides as well that you can utilize. It’s a good idea to keep a good reference around to refer to whenever you need it. One of the simplest forms of herb magic is to simply carry a bit of the herb that’s associated with your desire. We’ve all heard of carrying a four-leaf clover for luck. Carrying an almond can bring wealth, and fir needles can send away negativity. If having herbs loose in your pocket or purse seems messy, you can wrap the herbs in a small piece of paper or fabric. Another way to use herbs is to burn them. You can sprinkle herbs onto an open candle flame, toss them into a fire, or burn them on a charcoal round. When the herb burns, it releases the energy it’s associated with. Be aware though, not all burning herbs smell good. Some can really stink! Be sure to have good ventilation before you burn herbs indoors. Cooking with herbs isn’t just tasty, it can also be magical. Basil is great for protection, and celery enhances psychic powers. Paying attention to the herbs you use when you cook can be a great way to add magic to your meals. Just keep in mind that not every herb is safe to eat, some can even be deadly. Luckily, there are a vast number of delicious edible herbs with magical properties. Herbs can also be infused into oils. Soaking an herb in oil can create a very powerful magical liquid for magickal use. You can make herbal tinctures by adding herbs to alcohol too. Cheap vodka is perfect for this, just remember not to try drinking it! If you make your own candles, you can even add herbs to the candle wax to make magickal candles, which are very powerful. Herbs can be used alone or you can combine multiple herbs to get a specific effect. Using multiple herbs with the same correspondence can supercharge your spell, or you can cover more than one intention by using more than one herb. You can even make magickal art by pressing herbs and flowers and using them to create images. They look pretty, and will be a constant source of their corresponding energy. Learning herbal correspondences can be incredibly valuable for adding power to your magickal workings. And remember, you don’t need expensive, rare herbs to get powerful results. Cheap herbs from the dollar store can be just as good as anything else if your intention is clear.